Walidah Imarisha is the co-editor (along with adrienne maree brown) of Octavia’s Brood: Science Fiction Stories from Social Justice Movements, a book we’re publishing in April in collaboration with the Institute for Anarchist Studies. The project is a fascinating and exciting one, and we’re looking forward to holding the final product in our hands (as are many people!). In the meantime, here’s a thought-provoking and Octavia’s-Brood-related essay that Walidah wrote for The Abolitionist last December. Enjoy. This unlikely strategy came out of a workshop called “Imaginative Fiction and Social Change,” at the Allied Media Conference, an annual gathering in Detroit of radical activists, artists and media makers. The facilitator (and Octavia’s Brood contributor), Morrigan Phillips, broke participants into small groups and each one got a fictional land: Oz, the Death Star, Hogwarts, Springfield (of Simpsons fame). Participants then analyzed the conflict and came up with direct action tactics to move their cause for justice forward. As Phillips demonstrated, many of the lessons to be taken from science fiction (or speculative fiction/fantasy/horror/take your pick) are incredibly useful when building community-based systems of accountability and abolishing the prison system. The first and fundamental lesson is that all organizing is science fiction. The question of how do we ensure communities are safe, whole and accountable outside of a criminal justice system created to criminalize and incarcerate many of our communities is a central focus in social justice work. And it is a central question in science fiction as well. 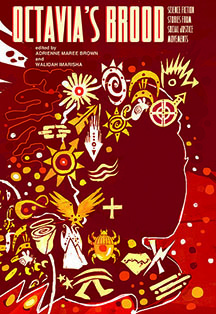 I am co-editing, with visionary movement strategist adrienne maree brown, an anthology of radical science fiction written by folks involved in social justice, called Octavia’s Brood: Science Fiction Stories From Social Justice Movements. This principle is the foundation we started the anthology from; that when we talk about a world without prisons, a world without police violence, a world where everyone has food, clothing, shelter, quality education, a world free of white supremacy, patriarchy, capitalism, heterosexism – we are talking about a world that doesn’t currently exist. But being able to envision these worlds equips us with tools to begin making these dreams reality. adrienne maree brown calls science fiction “an exploring ground,” saying it offers a perfect medium for organizers to explore different outcomes and strategies in theory, before we have to deal with the real world costs. Many organizers cite books like Woman on the Edge of Time, Dhalgren, Midnight Robber, Futureland, The Dispossessed, Fifth Sacred Thing, Who Fears Death? and Lillith’s Brood as important texts to study for anyone thinking about building alternatives to incarceration. In fact, Octavia’s Brood is named to honor the legacy of Octavia Butler, author of Lilith’s Brood, among her many books that carry important lessons for social movements. 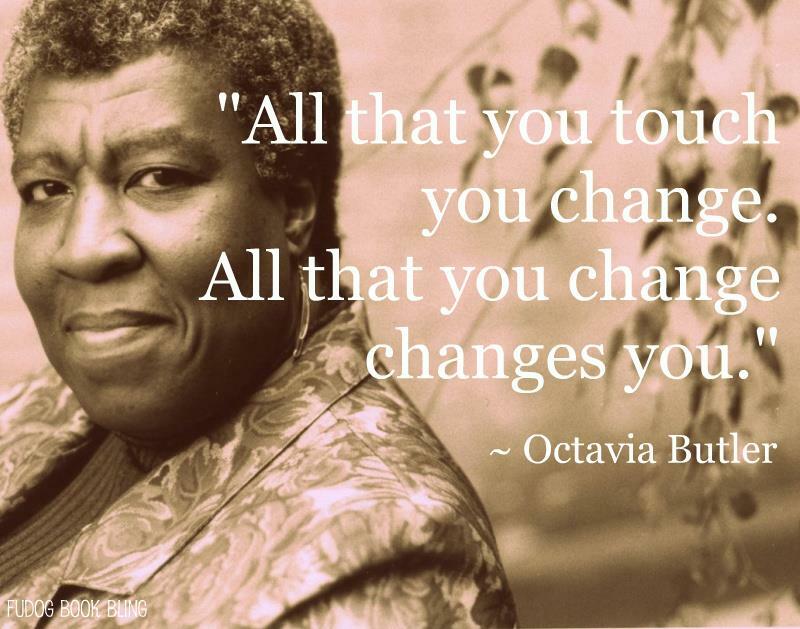 brown has been leading Octavia Butler emergent strategy sessions around the country, gathering groups to study Butler’s writing and apply it to their organizing. brown and others also created the Octavia Butler Strategic Reader. It’s not just books either; Piepzna-Samarasinha facilitated a workshop at this year’s AMC that pulled lessons from the film Born in Flames, directed by Lizze Borden, which focuses on alternative systems of justice for women in a post-democratic socialist revolution New York landscape. 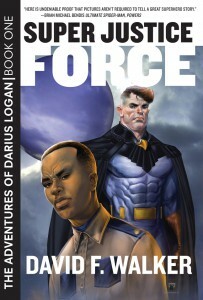 brown and I have found justice, incarceration and community accountability to be strong themes in many of the stories written for Octavia’s Brood.In Autumn Brown’s story “small and bright,” as punishment for an unforgivable crime, a member of an underground post-apocalyptic society is “surfaced,” forced into exile on the barren surface of the devastated Earth. Banishment from a community is something many folks working on community accountability grapple with as a concept. My own story in the collection, “Black Angels and Blue Roses,” uses the tale of a fallen angel with the power to “sing” humans a second chance in life as a means of exploring our collective responsibility in the healing of one another. adrienne maree brown’s piece “The River,” one of the Detroit-based science fiction pieces she was just awarded a Kresge Fellowship to create, explores the concept of what does justice look like for crimes the current criminal justice system does not even have language for, does not even acknowledge as a crime – gentrification, displacement, economic devastation, generational institutionalized oppression. This leads to another important lesson for those of us who believe in alternatives to incarceration: there is always the potential for a quest to be hijacked for nefarious purposes. For example, though superheroes were the first encounter most of us have had with alternative systems of justice, it does not mean that they embody radical or transformative politics. Just like in the real world we have the Minute Men as alternatives to police, in the superhero world we have folks like the Punisher, who just kills anyone who gets in his way. Debuting at a time when this nation was debating the death penalty (1974), Punisher speaks to the dangerous reactionary dystopias that can be created if we are not strongly rooted in our principles and values. 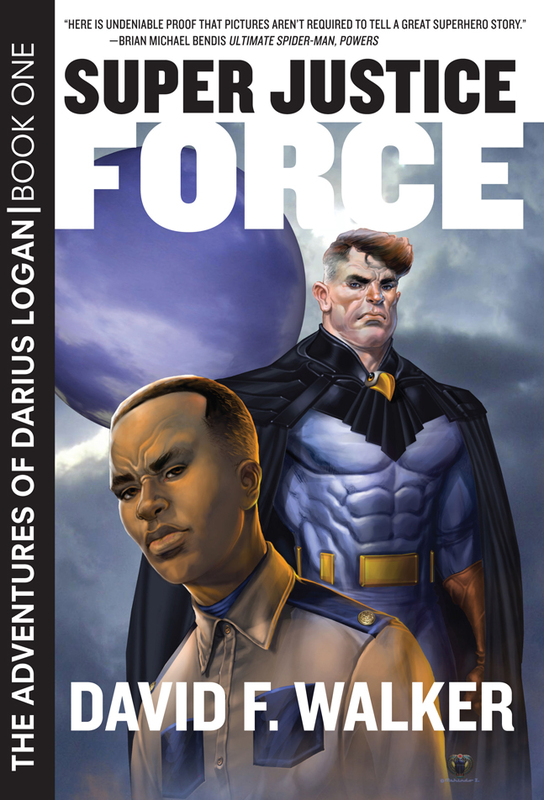 A powerful counterpoint to this mentality is the young adult fiction novel The Adventures of Darius Logan Book One: Super Justice Force, by Octavia’s Brood contributor David F. Walker,. In Super Justice Force, a young Black teenager Darius Logan is offered the choice between going to prison or going to a program run by the world’s greatest team of superheroes, a team that also includes former super-villains. One powerful subplot is the relationship between Nightwatcher and Otto Rekker (nods to Batman and The Joker), once arch enemies, now close teammates who attend each other’s summer barbecues. Manny, another former mad villain, says to Darius when he questions Otto’s presence, “Someone breaks the law, you can bet they got their reasons – reasons they can justify… Hell, Doc Kaos can probably make a compellin’ case for tryin’ to destroy the human race.” This quote highlights the need for understanding, to hear motivations and intentions, while still holding people accountable for the harm they do and the damage they cause. Another important lesson I have personally learned from science fiction is quests are the work of a community, never just one person. Without allies and community support, there is no chance of winning. I have relearned this in my organizing work, as well as working on this anthology. It has been one of the most inspiring and happiest projects, to work with visionaries I consider family and mentors as we re-imagine the world around us. Perhaps the lesson from the fantasy quest Phillips spoke of most relevant to abolishing the prison system and creating community accountability is how difficult it is. Quests are never neat and easy. Quests test everything you know about yourself, everything you think you know about the world. You have to make some of the hardest decisions of your life, and sometimes you choose wrong. Sometimes you make things worse. But you keep going. I often think of the scene in The Lord of the Rings: Two Towers when Frodo and Sam are at Osgiliath, where the immense power and resources of the enemy become clear, and Frodo says he can’t go on with the quest. This is what so much of our organizing work, especially around prison abolition, is based on – faith. A faith, sometimes in the face of powerful evidence to the contrary, that there is positivity and healing to be had on the other side of pain and suffering and hurt. That is what keeps us moving through those times when all hope is otherwise lost. 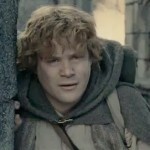 And even when there is a positive resolution to the epic quest you undertook, you know it is just part of a larger ongoing struggle. This is not the end – it is merely the waiting period for the next book in the series to come out, when the work begins anew, and you use the hard won lessons from book one to move ever towards justice in the sequels. This process of struggle is also what community accountability looks like. Walidah Imarisha is an educator, writer, poet and organizer. She is the co-editor of Octavia’s Brood: Science Fiction Stories From Social Justice Movements (AK Press, Spring 2015). She has taught in Portland State University’s Black Studies Department and Oregon State University’s Women, Gender, Sexuality Studies Department.